"...she arrives here just 4 lb higher than her last winning mark, and is chanced to make the perfect start for her new trainer under Donnacha O'Brien." 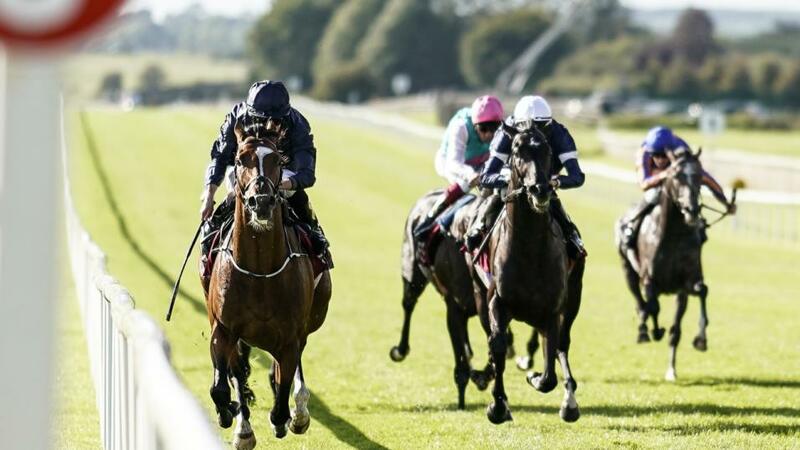 Crotchet begins life for the Joseph O'Brien team this afternoon in what looks a winnable contest at Gowran. She was below par on her final outing of last season at Newmarket last October, but she had otherwise enjoyed a productive campaign, winning twice and giving the impression on her most recent success at Musselburgh in September that there was perhaps still more to come from her. Indeed, she arrives here just 4 lb higher than her last winning mark, and is chanced to make the perfect start for her new trainer under Donnacha O'Brien. Stablemates Waitingfortheday and Red Tea are also interesting, though, while Dianthus and Innamorare are others to consider in a race where the betting should provide more clues given the majority are making their first starts of the campaign. While Peshkova was down the field on her reappearance run at Navan last month, finishing 12th, she left the impression that she should have finished much closer on the day, having nowhere to go when things got serious late on having travelling into the contest as well as any of her rivals. She finished with running left, and, off the same mark as last time, she looks weighted to strike this time around. The well-bred handicap debutante Fascinating Spirit is one to be aware of, particularly if supported in the market, while Waitaki is a consistent sort, and another to consider. A tricky race to decode considering that the majority of these have either had one start or are making their debut, but Solage displayed plenty of ability when finishing second on her debut at Lonchamp last October, and it would be no surprise should she take a big step forward from that now that she's with the Jim Bolger team - and her market strength this morning is a big positive. There was also a lot to like about Maria Christina's debut last weekend and she rates a likely danger.